After a year of talking with teachers using Kodable in their classrooms, we discovered that we needed to rework our approach to coding education, and fashion a programming curriculum that is equally as beneficial for students, but easier for teachers to manage. Well, we ran back to the lab, performed some tests, and created plans to meet the needs of educators using Kodable! Kodable Education Plans are available in every version of Kodable, and provide teachers with the proper tools to better serve their students and adequately manage programming curriculums in their school. We have created plans to help you use Kodable with your students at your comfort level: Free Kodable Teacher, Kodable Class, and Kodable School. Create individual student profiles that track and save student progress on any iPad. Monitor student progress on each level to identify mastery and areas of improvement. Use the level management feature to differentiate instruction for each student. Organize students in classes, and manage student profiles from within the app or on kodable.com. 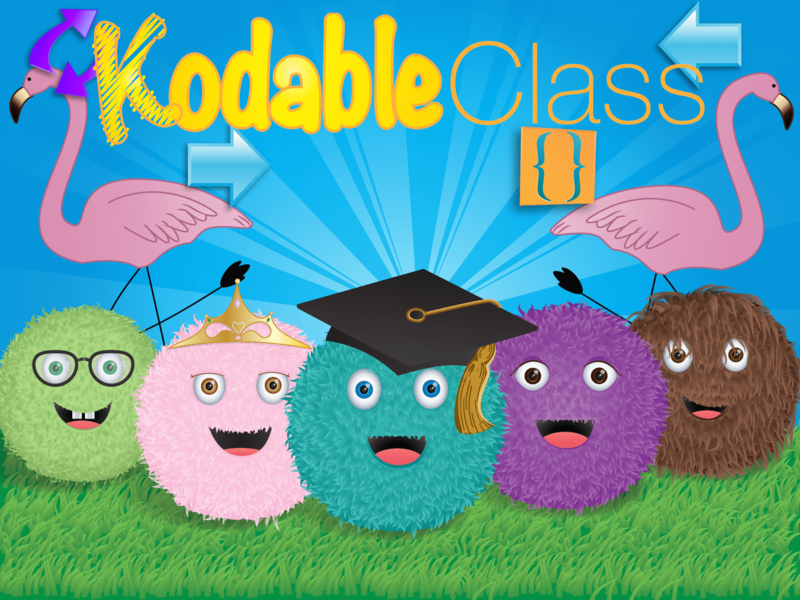 Kodable Class is an app designed specifically for education use, and makes it easier than ever to introduce the basics of programming to your students. If you previously purchased Kodable Pro, you can be grandfathered into the new Kodable Class plan when you update to version 5.0. 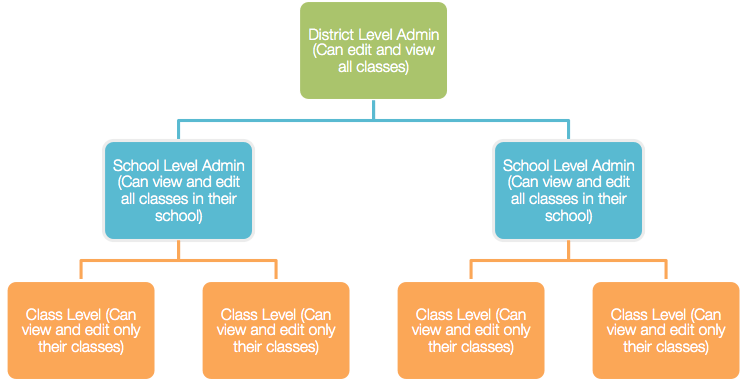 Create up to 3 classes and 50 student profiles with a Kodable Class account. Teach both basic and advanced programming concepts with access to all 105 levels of Kodable. Enter a class code to load saved progress and practice coding on any iPad or anywhere, even at home. Taking the first step towards programming education can be intimidating, especially if you have limited or no programming experience. Kodable Class can help alleviate these fears, providing subscribers with complete access to all of Kodable’s Learning Guides. Instituting a school-wide programming curriculum? 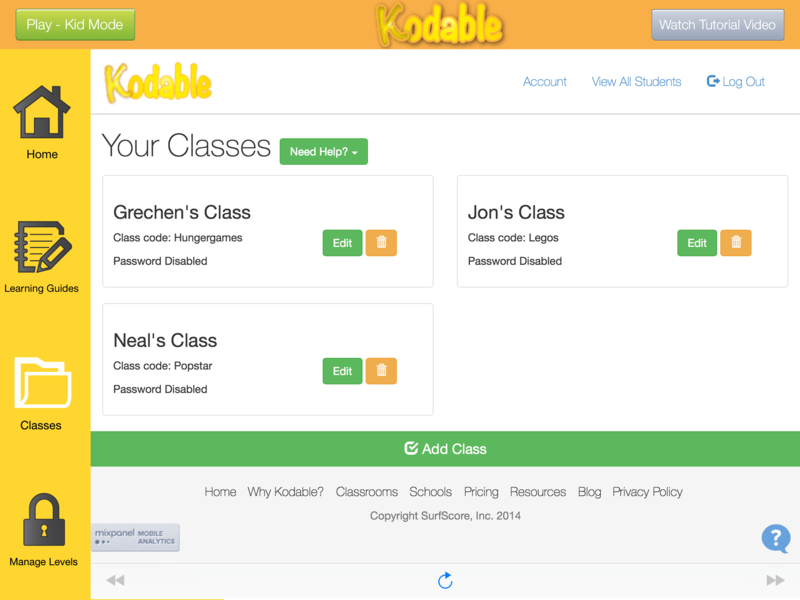 Kodable School Accounts are designed with the unique needs of a school or district in mind. When will Kodable 2 be available? We are trying to finish up the web version of Kodable now and release it before the Hour of Code…and then we are going to immediately start working on Kodable 2 after this. Tough to put an exact date on it right now. Next PostNext Why Should We Teach Programming?